The Ice Factory is an entertaining book by author Jason Phillips. It tells the story of hurricane Edna which hit the Caribbean Islands in 1954. The book is written with multiple perspectives focusing on Joy, who lived in Grenada which was decimated by the hurricane, and Audrey, who lives in Trinidad, which was less affected. Joy, the owner of an ice factory, was killed during the storm. Audrey is her niece and closest living relative. The entire first chapter, particularly this paragraph, captured my interest in the book. The first chapter did an exceptional job of peeking my interest in the story to come with its beautiful language and its unique character perspective. Having one of your characters speaking from beyond the grave, giving their perspective on the living world is an interesting and fun way to approach a story. I loved reading the differences and similarities between the way Joy and Audrey viewed the world. They were both strong characters in their own way and met the balance between uniquely interesting and relatable. Both deal with struggles on different levels and approach the way they deal with those difficulties differently but maintain their strength throughout. I found switching back and forth between them to work really well with the story being told. I also liked the focus the book puts on family and the close connections families can have, along with their struggles. The book kept a good pace as the reader is taken through the characters lives. It balances the dramatic events of the book, like the hurricane, and its effect on the characters’ lives, as well as the smaller struggles of daily life. The book did a great job of making you care about the characters, as the driving force of the plot. 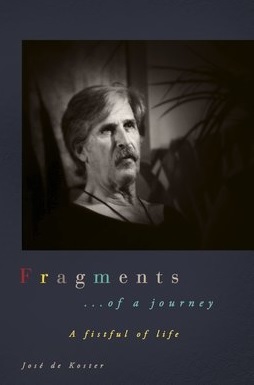 Phillips did a masterful job with the entire book of creating distinctive voices in his characters, setting a scene, and grasping a tone for the whole book that placed you in a place, time, and culture. From beginning to end The Ice Factory is a fun, engaging, interesting, and uplifting story that kept me invested in the story throughout. The characters were well written and fleshed out, keeping me rooting for them the whole time. I enjoyed this book very much and am excited to see what else this author puts forth. I would definitely recommend this book. 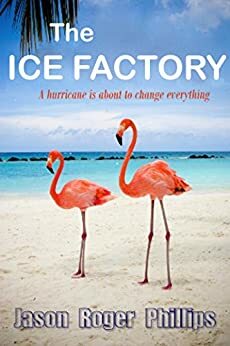 Posted on April 4, 2018, in Book Reviews, Four Stars and tagged 1950, caribbean, dark, dark fantasy, edna, family, fantasy, fiction, grenada, history, holiday, humor, hurricane, island, jason roger philips, the ice factory, trinidad. Bookmark the permalink. Leave a comment.